Howard Milstein was recognized by Abilities! as Distinguished Honoree at its annual Celebrity Sports Night. 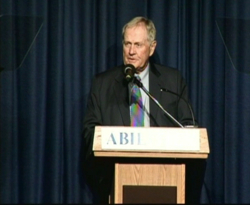 Mr. Milstein was introduced at the event by his business partner, famed golfer Jack Nicklaus. Each spoke of their mutual commitment to giving back to the community. The New York State Senate noted the event in a resolution commending Abilities! and the Sports Night honorees. 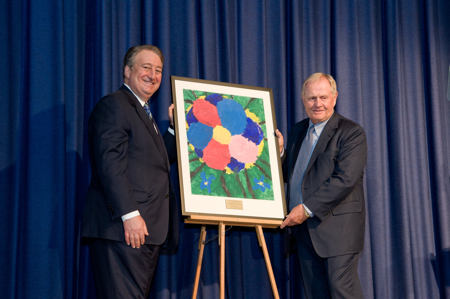 Howard Milstein and famed golfer Jack Nicklaus, who introduced Mr. Milstein, at the Abilities! 2012 Celebrity Sports Night event where Mr. Milstein was honored. Abilities! is an organization dedicated to giving children with physical disabilities the opportunity to receive a quality education, vocational training and employment placement. Abilities! is also home to The Henry Viscardi School, one of the nation’s foremost institutions for educating children with severe physical and medical disabilities. Abilities! was founded in 1952 and is located in Albertson, New York. 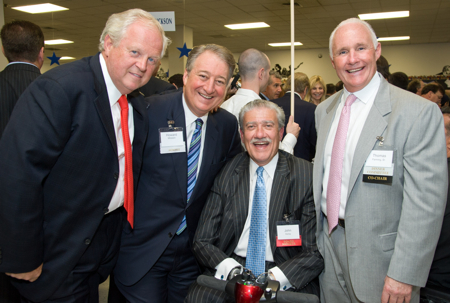 Sports Night co-chair James Fitzgerald, Sports Night Honoree Howard Milstein, Abilities President and CEO John Kemp, and Sports Night co-chair Thomas Fanning Sr. (left to right) at the 46th Annual Sports Night. Jack Nicklaus introduces Howard Milstein, the Distinguished Honoree at Abilities! 2012 Celebrity Sports Night.